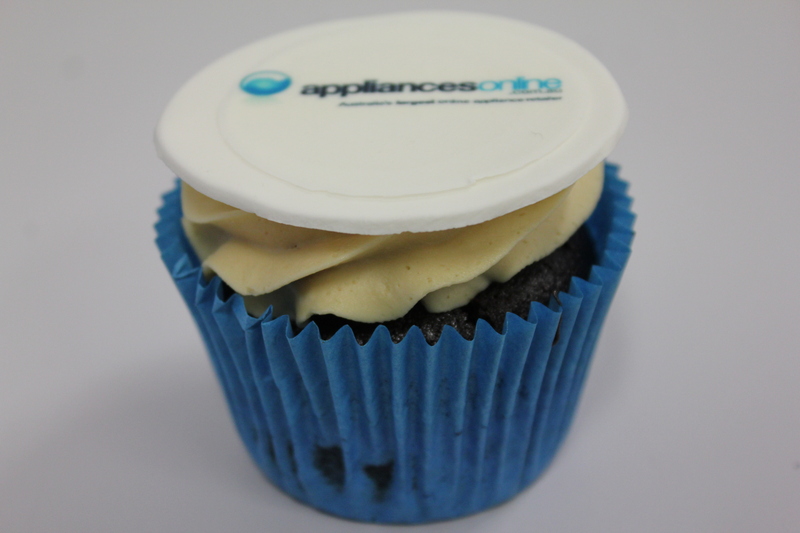 Happy 8th Birthday Appliances Online! 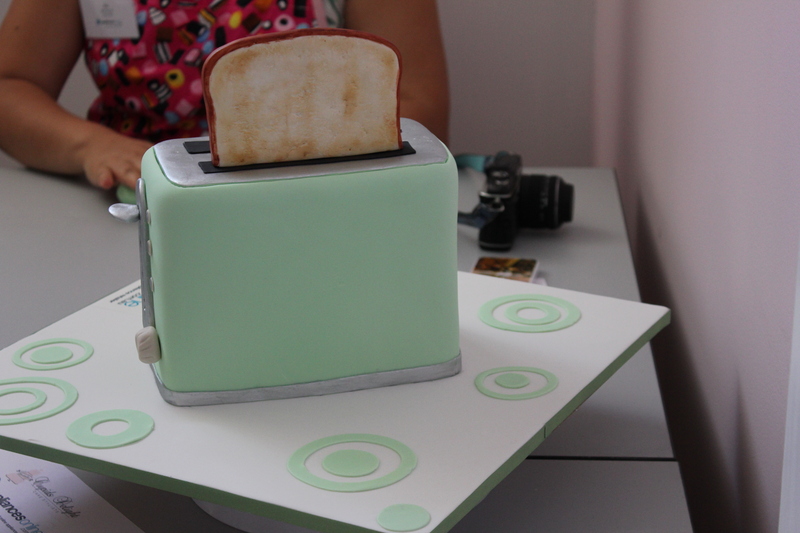 I was invited to celebrate Appliances Online’s 8th Birthday which was held at Cupid’s Delight with a cake decorating masterclass and a launching of a national competition, which is to decorate an appliance-themed cake. We arrived at Cupid’s Delight for the Masterclass. 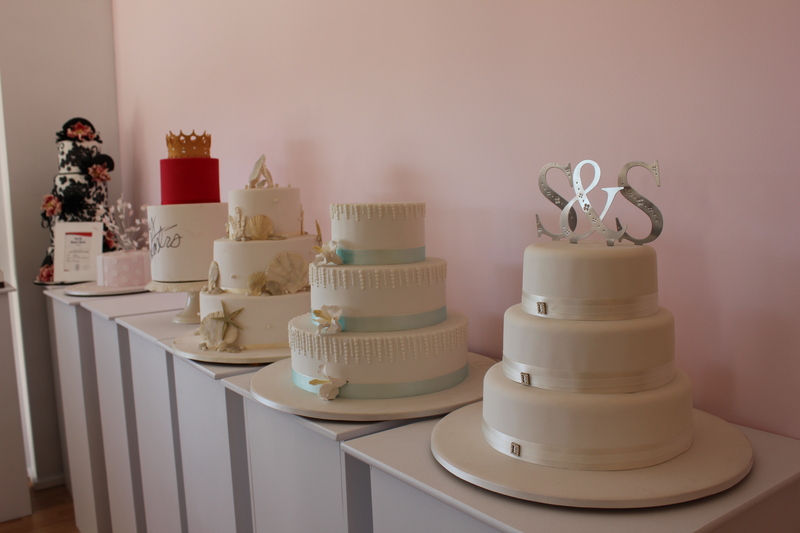 The cakes displayed at the front of Cupid’s Delight were very beautiful and the decorations were very intricate with attention to detail. 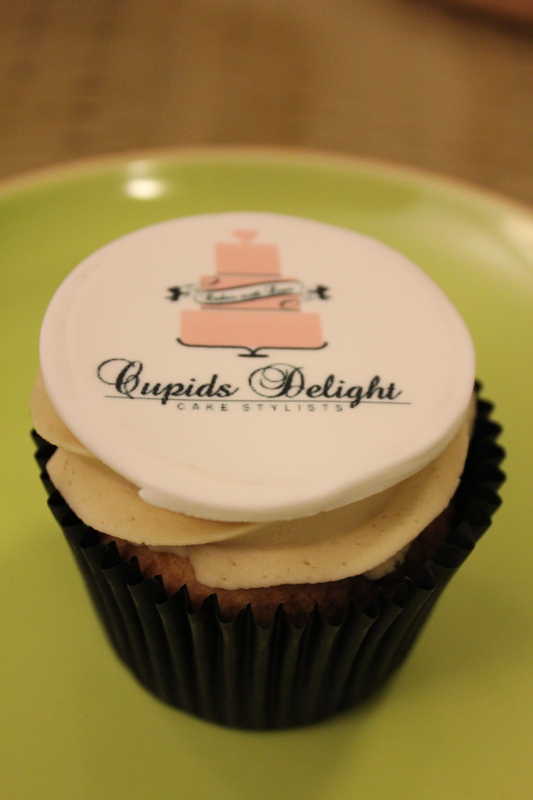 Cupid’s Delight specialises in Cupcakes, Wedding Cakes, Birthdays, Special Occasions, Corporate and VIP cakes. 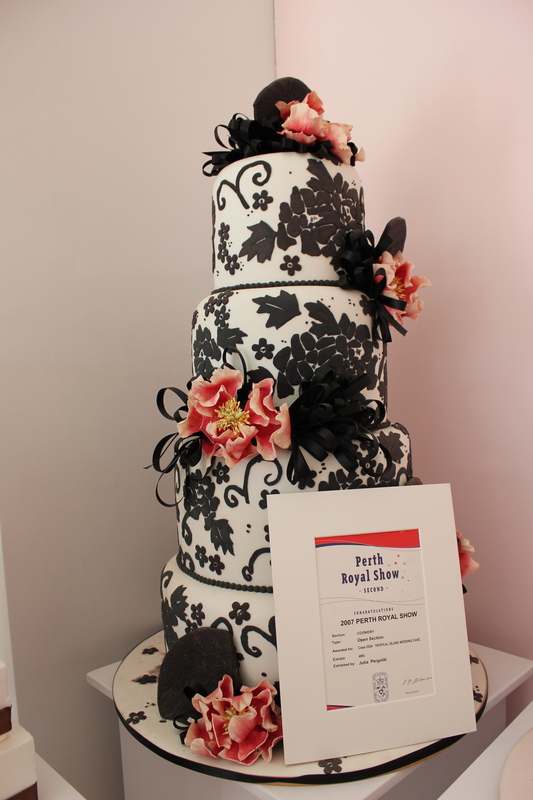 The cake stylist/director behind Cupid’s Delight is Julia Pergoliti, who has ignited a love for cake when she created a 25th wedding anniversary cake for her parents. 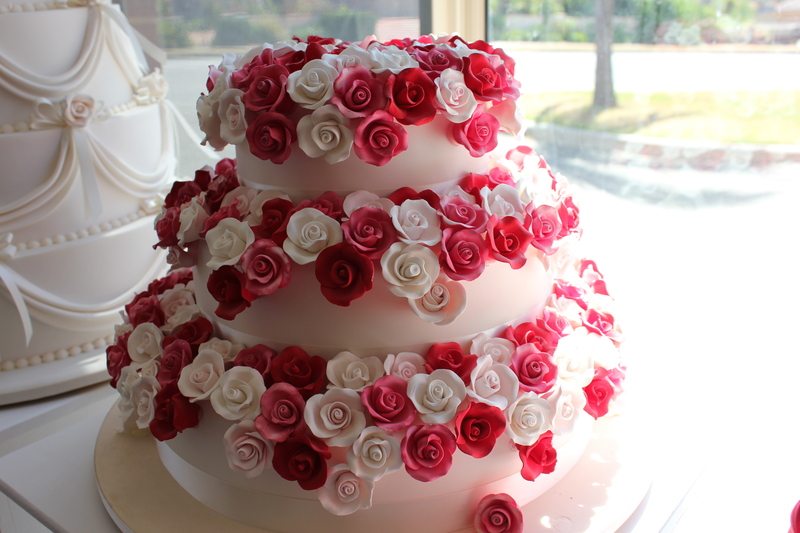 How beautiful are these cakes? I was very privileged to attend the cake decorating masterclass by Julia. For an individual who does not cook or bake often, I have enjoyed this masterclass a lot and have learnt a few hints and tips on cake decorating and baking. 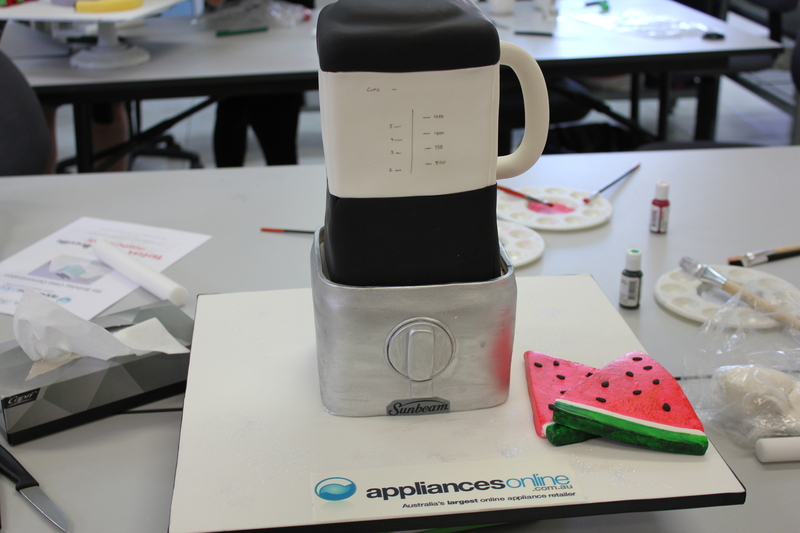 For the first part of the masterclass, we had to decorate a kitchen appliance in a group of 5 and replicate the decorations similar to the model cakes. 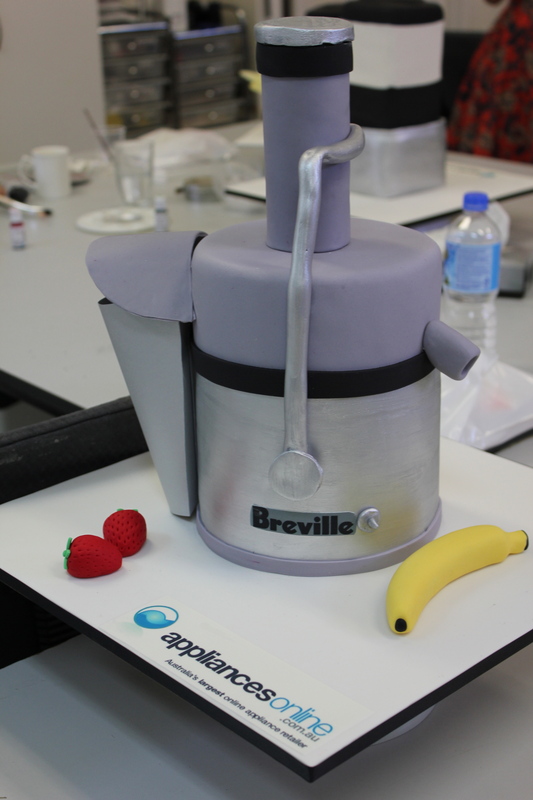 We had the Breville Juicer to decorate. Each of us took turns to decorate the juicer whether it is painting some silver on top or making strawberries or bananas from fondant. 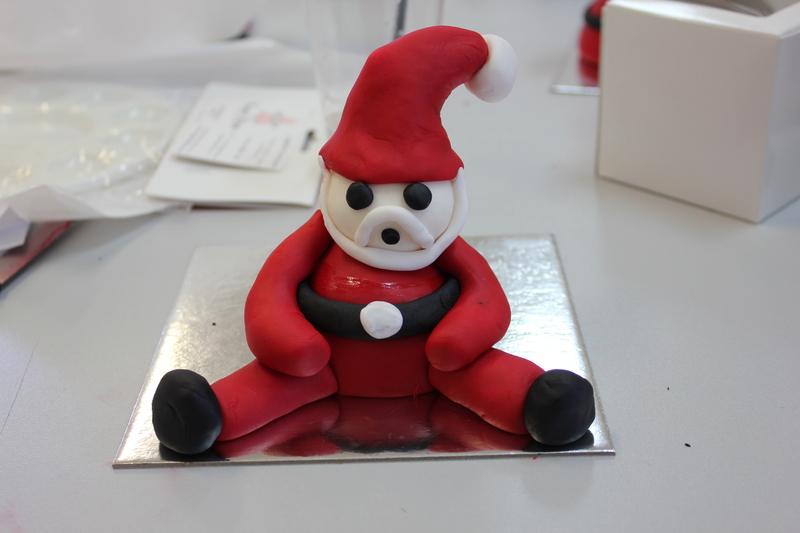 For the second part of the masterclass, we had to make our very own Santa from fondant to take home as a cake decoration. It was very easy to follow and everyone was happy with their end product of Santa while putting a twist or two on it! With the courtesy of Appliances Online along with Breville, Morphy Richards, Sunbeam and Tefal, each of us took home an actual appliance as a gift. 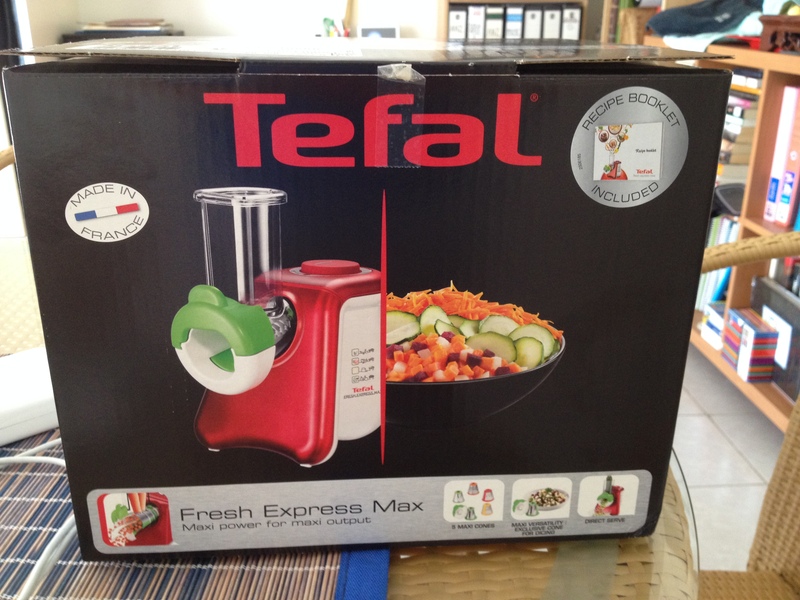 I chose the Tefal Fresh Express Mini Food Processor which I thought that it would be very helpful in the kitchen particularly with grating, slicing and dicing. I would like to thank Carla and Annabelle for the invitation and I am honoured to be a part of Appliances Online 8th Birthday Celebration. I would also like to thank Julia and her staff at Cupid’s Delight for the cake decorating masterclass. 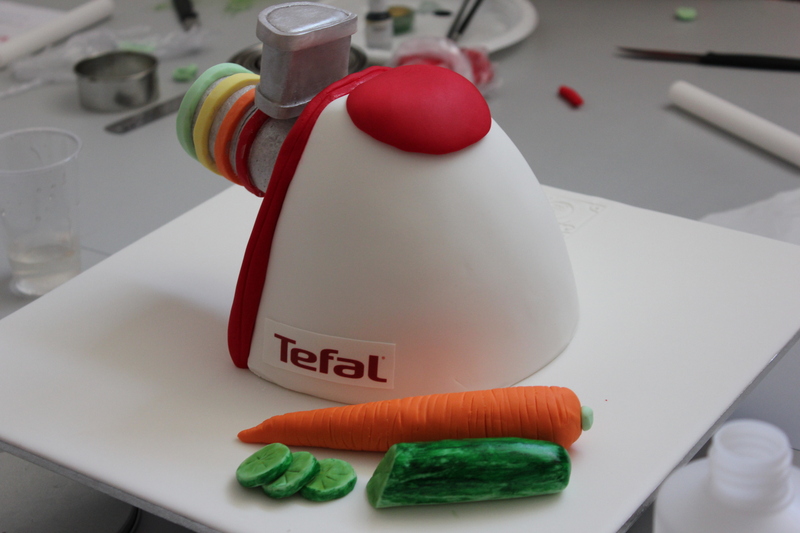 I enjoyed the masterclass and really had a fun time decorating the appliance-themed cake and making the Santa by using some fondant. I was left feeling inspired to bake and decorate some cakes. Looking for Stocking Fillers this Christmas? Be sure to check out Appliances Online for some Christmas Gift Ideas too! 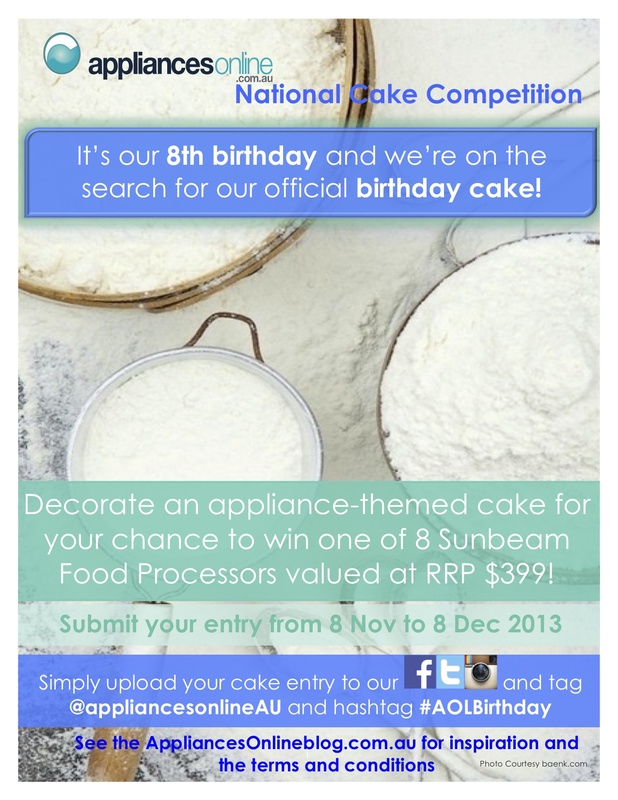 Disclaimer: I was invited by Appliances Online to celebrate their 8th birthday and this is my own honest opinion. I will not use this space to include false opinions or other opinions which are not 100% my own. Aw, I really wish I could have made it to this! The cakes are stunning, and cute Santa! Aw it’s alright, I am sure there will always be a next time 🙂 It was really fun decorating those cakes and making Santa too! Haha thanks! Glad Santa turned out well although his head was slightly dislocated to one side while taking him in and out of the car as the day progresses! Have you tried out the food processor yet? I’ve been using mine to do carrot etc.